This is copy number 20. In a condition which reflects its 52 years of age. It's complete and nothing is missing, but there is edge wear, foxing and tearing on the corners and sides which the pictures show. Mint (M) Fresh off the press standard, rare to find in a used magazine. If there's a problem with your order get in touch. Fine (F) Perfect collectors copy, only very slight handling visible, no creasing, no staple rusting, lays perfectly flat, cover bright and uncreased. ANTIQUE COLLECTING MAGAZINE. 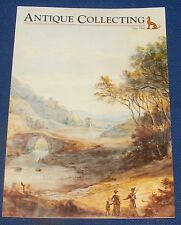 Subscription only magazine from ANTIQUE COLLECTORS CLUB. The quintessential British publication for enthusiasts and collectors. 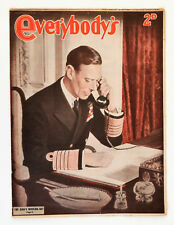 Vintage Everybody's Weekly Magazine: June 10th 1944, The Kings Working Day. New listingVintage Smart Novels Magazine Issue 2179 June 29th 1936, "The Soaring Wind"
Pattern of a child's frock. Vintage Everybody's Weekly Magazine: June 4th 1955, Harry Truman, John Arlott..
Vintage Everybody's Weekly Magazine: June 15th 1946, Psychic Apparition!. MAY - JUNE 1983. Arts of Asia. "Arts of Asia, founded in 1970, is the world's leading fine magazine of Asian art. - credit - Arts of Asia web site. Asian art magazine and is distributed to 90 countries. "Arts of Asia, founded in 1970, is the world's leading fine magazine of Asian art. MAY - JUNE 1986. Arts of Asia. - credit - Arts of Asia web site. Asian art magazine and is distributed to 90 countries. "Arts of Asia, founded in 1970, is the world's leading fine magazine of Asian art. MAY - JUNE 1988. Arts of Asia. - credit - Arts of Asia web site. Asian art magazine and is distributed to 90 countries. "Arts of Asia, founded in 1970, is the world's leading fine magazine of Asian art. MAY - JUNE 1984. Arts of Asia. - credit - Arts of Asia web site. Asian art magazine and is distributed to 90 countries. "Arts of Asia, founded in 1970, is the world's leading fine magazine of Asian art. MAY - JUNE 1987. Arts of Asia. - credit - Arts of Asia web site. Asian art magazine and is distributed to 90 countries. MAY - JUNE 1978. "Arts of Asia, founded in 1970, is the world's leading fine magazine of Asian art. Arts of Asia. - credit - Arts of Asia web site. BACK ISSUE Magazine. Asian art magazine and is distributed to 90 countries. Author / Illustrator 'BB' Denys WATKINS - PITCHFORD;. - Leslie CHARTERIS's 'THE SAINT';. The Dating of Lace by Pat Earnshaw. ANTIQUE COLLECTING MAGAZINE. 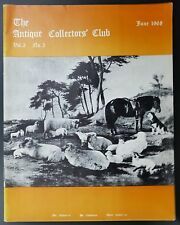 Subscription only magazine from ANTIQUE COLLECTORS CLUB. Old Violins by Alfred D Proverbs. 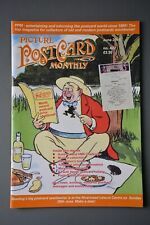 The quintessential British publication for enthusiasts and collectors. June, 1999. Collect It! Magazine - Issue Number 24. Number Of Pages: 84. Be sure to add TerryScope Ltd to your favourites list ! June 23rd 1938, ENQUIRE WITHIN 37, Musical Instruments, Bird Beaks, Pincers. WHAT ARE THOSE PINCERS USED FOR?. JUNE 23rd 1938. ENQUIRE WITHIN. WHICH BIRD HAS THAT BEAK?. ISSUE NUMBER 37. I am not saying that most of them are not in a collectable condition but as we do this partly for charity i find it a much safer market. Mint (M) Fresh off the press standard, rare to find in a used magazine. Fine (F) Perfect collectors copy, only very slight handling visible, no creasing, no staple rusting, lays perfectly flat, cover bright and uncreased. Mint (M) Fresh off the press standard, rare to find in a used magazine. Page tanning and foxing. If there's a problem with your order get in touch. Fine (F) Perfect collectors copy, only very slight handling visible, no creasing, no staple rusting, lays perfectly flat, cover bright and uncreased. Mint (M) Fresh off the press standard, rare to find in a used magazine. Poor (P) As G plus: cover or centre pages may be detatched or chipped, staples rusted away, soling, still complete and readable. 21cm x 21cm. _gsrx_vers_841 (GS 7.0.16 (841)). 3 JUNE 1954. The Motor Cycle magazine was founded in 1903. There may be rusted staples, marks to pages, especially to the covers and the occasional tear or crease on a page. They are certainly readable, a great nostalgic read of this great motorcycling era. This is edition number 31 dating back to June 4th 1971. In a very good condition. Typical foxing/yellowing in places typical with a newspaper this age. Does have a fold line through the middle but most copies out there do. Vintage Everybody's Weekly Magazine: June 6th 1953, Special Coronation Issue. OCTOPUS CULT. RANGE ROVER 1970-2010. MODEL COLLECTOR MAGAZINE JUNE 2010. EASTERN NATIONAL. THORNY CROFT'S MIGHTY ANTAR. ARRIVA NEW ARRIVALS AND SPECIALS. MODEL COLLECTOR MAGAZINE JUNE 2009. MODEL COLLECTOR MAGAZINE JUNE 2015. SCENE SETTERS. 90 PAGES - GREAT FUN TO READ. LAND ROVER PROTOTYPE. FIAT'S LITTLE 500. MODEL COLLECTOR MAGAZINE JUNE 2012. 90 PAGES - GREAT FUN TO READ. CLASSIC AIRPORT CRASH TENDERS. MODEL COLLECTOR MAGAZINE JUNE 2011. 90 PAGES - GREAT FUN TO READ. Coin News Incorparating Banknote News Magazine. June 2005. Volume 42. No.6.